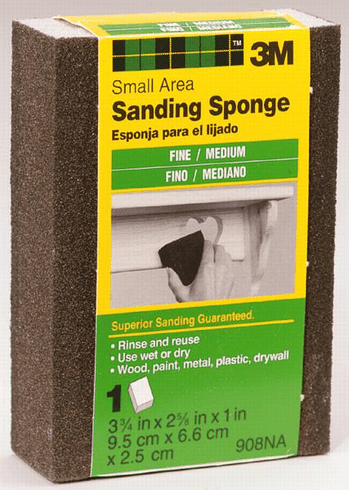 4-sided abrasive sponge. Flexible for contoured areas. Rinseable and reusable. Fine on one side. Medium on the other.